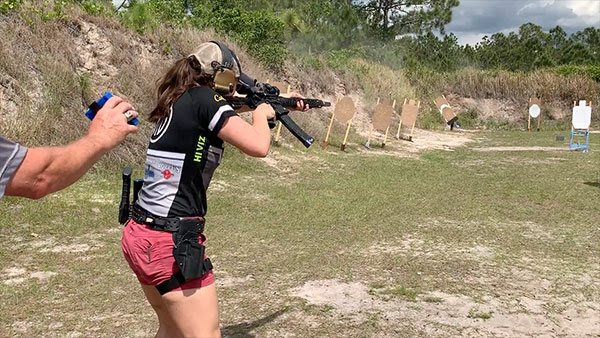 NEWINGTON, N.H. – SIG SAUER, Inc. congratulates Team SIG professional shooters Daniel Horner and Lena Miculek for their National Championship titles at the 2019 USPSA SIG SAUER Multi-Gun Nationals held April 3rd – 7th at the Universal Shooting Academy in Frostproof, Florida. 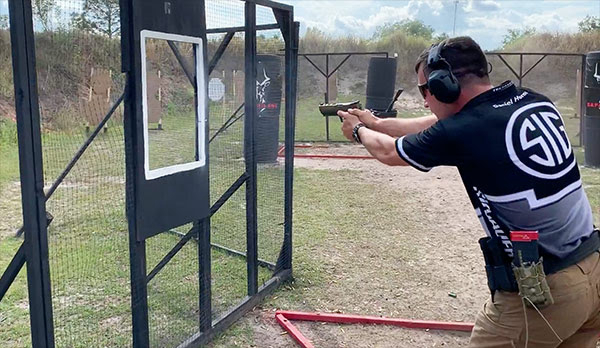 The 2019 USPSA SIG SAUER Multi-Gun Nationals had 180 individuals competing through twelve stages scored equally for speed and accuracy ranging from 5 to 425 yards. To claim the Tactical Optics Division National Champion title, Team SIG professional shooter Daniel Horner used the SIG SAUER P320X5 pistol with SIG SAUER Match Elite Pistol 9mm Competition Ammunition for the pistol stages. Horner used the SIG SAUER M400 rifle with a SIG SAUER Electro-Optics TANGO6 1-6x24mm riflescope, SIG SAUER Match Elite 223 Rem, FMJ Elite Ball 223 Rem, and Varmint Hunting 223 Rem long range ammunitions for the rifle stages of the competition. For long range shooting Horner utilized the SIG SAUER Electro-Optics KILO2400 Rangefinder. This is Horner’s 11th USPSA Multi-Gun Nationals Title. Horner had previously competed as a soldier representing the U.S. Army’s Marksmanship Unit (USAMU). To claim the Ladies Open Division National Champion title, Team SIG professional shooter Lena Miculek used the SIG SAUER P320X5 with a ROMEO1 Optic, and SIG SAUER Match Elite Pistol 9mm Competition Ammunition for the pistol stages. Miculek used the SIG SAUER M400 rifle with a ROMEO3 optic, and Match Elite 223 Rem, FMJ Elite Ball 223 Rem, and Varmint Hunting 223 Rem ammunitions for the rifle stages of the competition. For long range shooting Miculek also utilized the SIG SAUER Electro-Optics KILO2400 Rangefinder. The SIG SAUER Electro-Optics TANGO6 1-6x24mm riflescope, ROMEO1, ROMEO3, KILO2400 Rangefinder, and SIG SAUER Ammunition used by Horner and Miculek in the 2019 USPSA SIG SAUER Multi-Gun Nationals are available for purchase online at sigsauer.com/store.